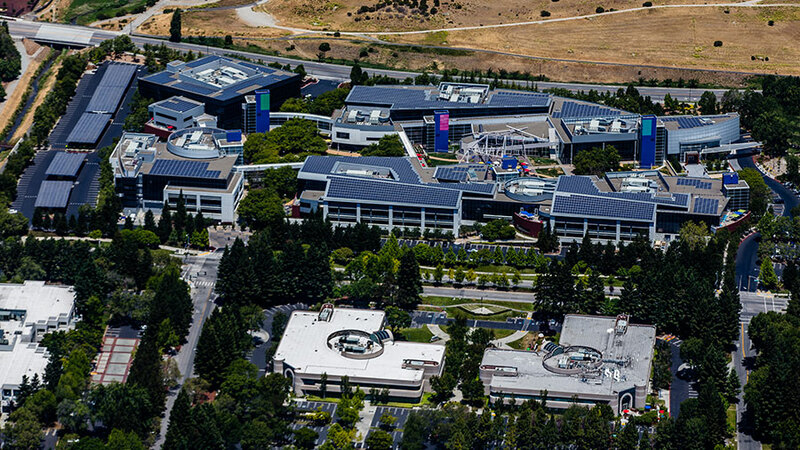 The Mountain View, California, city council unanimously voted on Tuesday to approve a redevelopment plan that would give Google the power to build up to almost 10,000 residential units near its new Charleston East campus, and they won’t be restricted solely to Google employees. 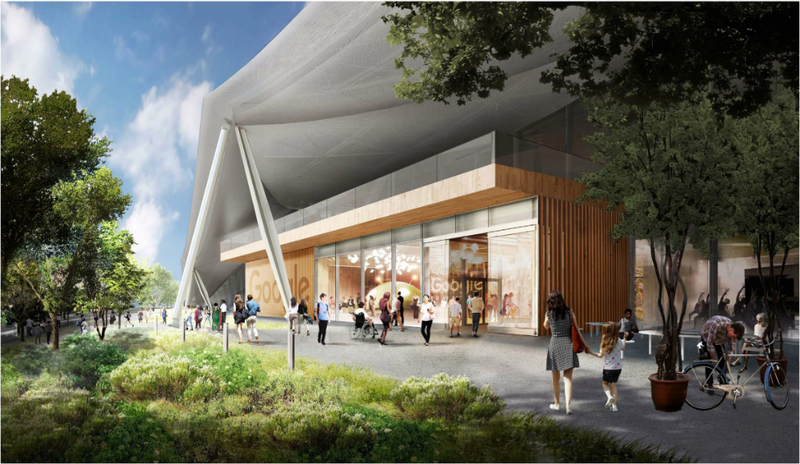 The approval paves the way for Google to build alongside its new Charleston East campus, designed by a team of Heatherwick Studios, Bjarke Ingels Group (BIG), and Hargreaves Jones Landscape Architecture, which expects to complete construction by 2019. Besides bringing 3.6 million square feet of office space and the aforementioned residential buildings to the North Bayshore neighborhood, Google and other outside developers will be allowed to construct a high-density, mixed-use neighborhood in an area stymied by a lack of new housing. Rising above than the low-slung suburban office park surrounding the new site, the new development will feature office towers up to eight stories, and residential buildings up to 15 stories tall. 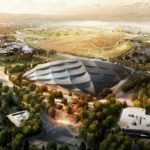 Although the city, Google, and other interested developers still need to put together a master plan detailing the project’s timeline, it’s expected that the project will claim up to 150 acres for residential use. Of the 9,850 units allowed by the new measure, developers are shooting to keep 70 percent of the units as one bedrooms or studios, with 20 percent of the total set aside as affordable housing. 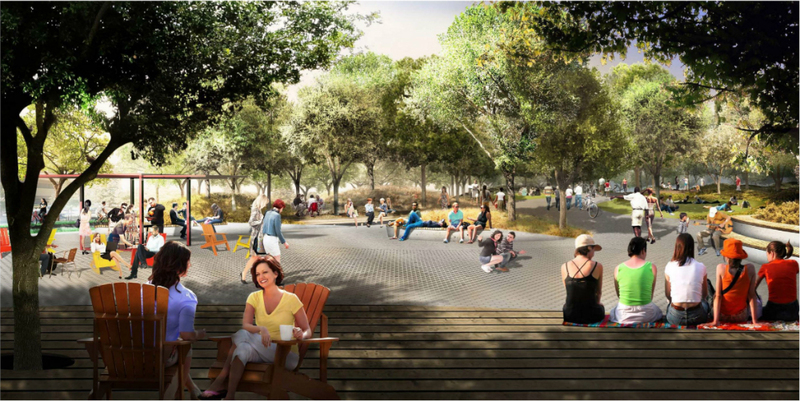 Planners have already begun envisioning the new neighborhoods that the ordinance would create, naming them Joaquin, Shorebird and Pear. 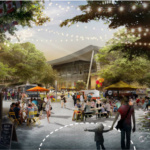 Overall it’s expected that the redevelopment will bring more office space, retail and entertainment options to a previously underdeveloped area. At the Tuesday meeting, vice mayor Lenny Siegel said the project would help address the Bay Area’s housing crisis. 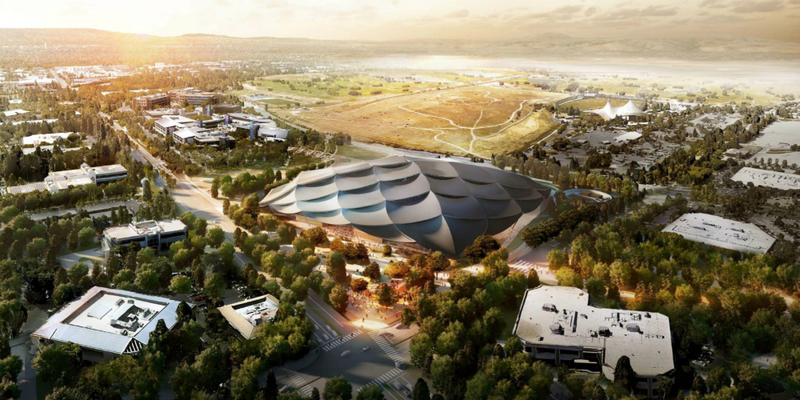 The massive project will still need to face further rounds of public approval before being finalized, but previously released renderings by Google provides some indication of how the tech giant will build out their adjacent campus. 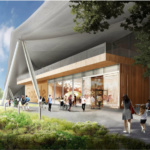 A distinctive two story, tent-like structure with a solar panel-clad canopy will occupy 595,000 square feet, with the ground floor open to the public. 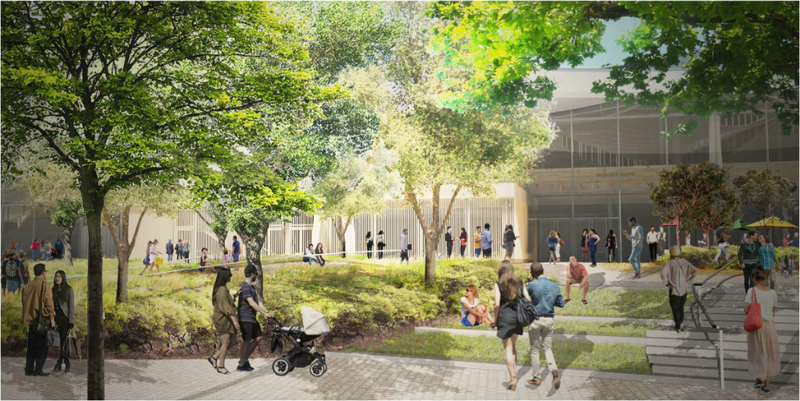 The second floor will hold Google office space, and both areas will be peppered with interior courtyards designed to act as cores for socializing. 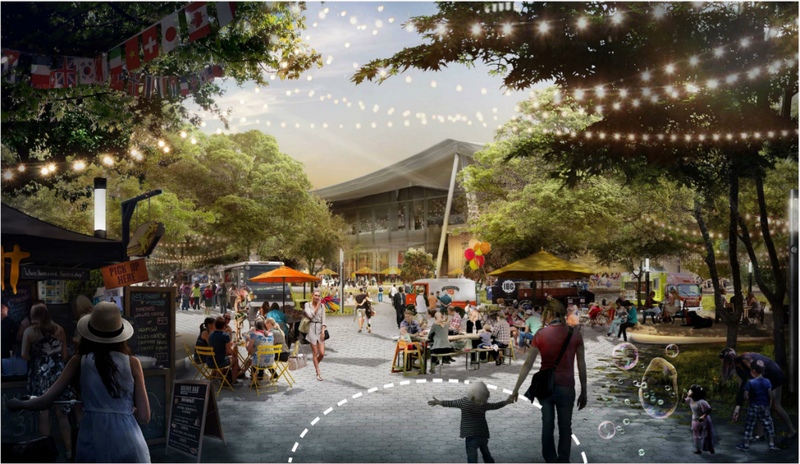 It’s not yet clear how the newly-formed neighborhoods will link with the company’s peaked office space. 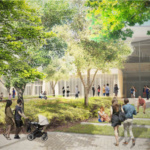 The recent city council approval is only the first step in a long line of public approvals that the development will need to clear before becoming a reality. 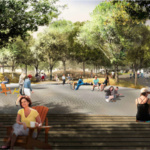 While no exact estimates of how long the project will take, or how much it could cost, have been revealed yet, Siegel has said that it may take up to a decade to fully realize.